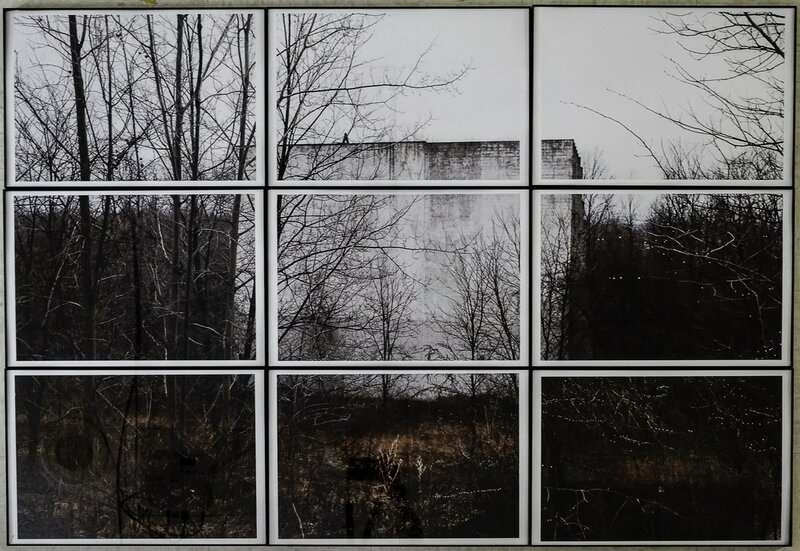 ​Falconer Drive-in; 9 Framed dye prints; 57" x 39"
​This piece is a departure for me. I am by nature a black and white photographer. Though my work is always distinctly street-oriented, it is normally introspective and inwardly focused. It was however, through a protracted and long-running discussion with my high school Advanced Placement students on the nature of intellectual curiosity, I was challenged by them to move outside my comfort zone and in their words, “Go Big.” This is the result. As with any large scale change, this was not without some trepidation on my part, but ultimately it becomes a piece, that like any other, stands of falls on its own merits. Regardless, It remains true to my interests as a photographer and true to my desire to illustrate the “lost and found”nature of street photography. ​Mark Kirsch holds an M.A.S.S. from the NY State University College at Fredonia, a B.S. in Art Education from the NY State University College at Buffalo, and an A.A.S. in Photography from Villa Maria College of Buffalo. His work has been exhibited all over Western NY. Mark currently resides in Jamestown, NY, where he works as an art educator.